Bakan, Michael B. 1999. Music of Death and New Creation: Experiences in the World of Balinese Gamelan Beleganjur. University of Chicago Press. 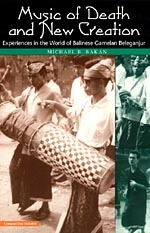 This ethnomusicological study of traditions and transformations in the musicultural world of the gamelan beleganjur of Bali, Indonesia combines comprehensive cultural and musical analysis with the author’s personal narrative of his experiences as a student and performer of beleganjur music in Bali. It includes a compact disk of illustrative musical examples. Barnard, Alan. 2000. History and Theory in Anthropology. Cambridge University Press. This is a concise yet comprehensive introductory text on anthropology that is both accessible and informative. Blacking, John. 1995. Music, Culture & Experience: Selected Papers of John Blacking. University of Chicago Press. This collection of essays spanning the career of the important anthropologist and ethnomusicologist John Blacking includes influential and stimulating writings on the relationship of music and culture at many levels. Browner, Tara. 2002. Heartbeat of the People: Music and Dance of the Northern Pow-wow. University of Illinois Press. Browner documents contemporary intertribal powwow practices of the northern Great Plains and Great Lakes region with descriptive information on songs, dance and singing styles, regalia, and the structure of powwow events. Burton, J. Bryan. (2007). Moving Within the Circle: Contemporary Native American Music and Dance. 2nd ed. World Music Press. Fine introduction to Native American musics and cultures, featuring social songs and dances, flute songs, guided listening experiences, and instructions for making instruments. The book includes in-depth cultural and historical background and a compact disk of illustrative musical examples. Cahn, William L. 2005. Creative Music Making. Routledge. This short book offers a practical approach to improving creativity and self-expression through free improvisation. Its methods can be applied by trained musicians and nonmusicians alike. Ferris, William R. 2009. Give My Poor Heart Ease: Voices of the Mississippi Blues. University of North Carolina Press. William Ferris provides documentation on the Mississippi blues in photographs, video, and printed format. He offers his original field recordings from the 1960s and 1970s of over twenty performers who offer narratives about African American life and blues music in the South. One of the most important and influential books in the history of modern anthropology, especially in terms of interpretive and symbolic anthropology. It includes excellent essays on the culture of Bali, among others. Hood, Mantle. 1982. The Ethnomusicologist. New Edition. Kent State University Press. An important and influential book on the theory and practice of ethnomusicology by one of the founders of the modern discipline. Howard, Keith (ed.). 2006. Music and Ritual. Semar Publishers. Essays on music and ritual in different parts of the world, including Nepal, Russia, China, Australia, South Africa, Bali, Morocco, and Portugal. Levin, Theodore (with Valentina Süzükei). 2006. Where Rivers and Mountains Sing: Sound, Music, and Nomadism in Tuva and Beyond. Indiana University Press. Ethnomusicological study of Tuvan and Mongolian music and culture, with extensive treatment of Tuvan overtone singing traditions (khoomei), overtone singing as both a local Tuvan and an international world music phenomenon, and alternative conceptions of “music” relative to its relation to the sounds of animals and the natural world. The book comes with a CD/DVD of illustrative examples. Merriam, Alan P. 1964. The Anthropology of Music. Northwestern University Press. Along with Hood’s The Ethnomusicologist (see above) and several books by Bruno Nettl (see one example below), this book has helped to define and direct the discipline of ethnomusicology over the past several decades. Monson, Ingrid (ed). 2000. The African Diaspora: A Musical Perspective. Garland. This collection of essays by leading scholars covers a variety of topics, from jazz to Malian music, within the transcultural framework of the African Diaspora. Nettl, Bruno. 2006. 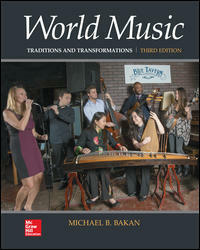 The Study of Ethnomusicology: Thirty-one Issues and Concepts. New Edition. University of Illinois Press. An accessible and engaging introductory text on the major concepts and issues of ethnomusicology, including many explored in this chapter. Neuenfeldt, Karl (ed.). 1999. The Didjeridu: From Arnhem Land to Internet. Indiana University Press. This work examines traditions and transformations of the didgeridoo (didjeridu) from a range of musical, cultural, and sociological perspectives, accounting for everything from the instrument’s use in Australian Aboriginal rituals to its global diffusion in world beat and popular music circles. Post, Jennifer C. (ed.). 2005. Ethnomusicology: A Contemporary Reader. Routledge. Essays originally published in leading journals that show how ethnomusicology connects music to commodification and consumption, cultural tourism and travel, gender and sexuality, globalization, media, technology, and technoculture, nationalism and transnationalism, and social and political action. Stokes, Martin (ed.). 1997. Ethnicity, Identity and Music: The Musical Construction of Place. Berg. 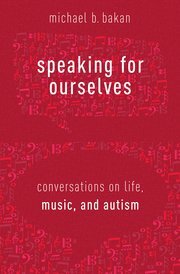 Collection of essays examining the significance of music in the construction of identities and ethnicities; a broad range of musicultural traditions and issues are addressed.